A selection of Charlotte Mason's writings on the topic of Habit Formation in children. Her teachings on the topic of education required six large volumes to cover. This book makes it simple for homeschooling parents to find exactly what they need to learn about Charlotte Mason's thoughts on establishing good habits. The teachings and philosophies of Charlotte Mason, a British educator from the last century, are currently experiencing a revival, especially among American private and home schools. Mason's educational ideas were originally used by governesses in England to educate the children in their charge. Eventually, schools based on her philosophies sprung up throughout England, and her original training school became a college to supply teachers for the Parents' Union Schools throughout the world. Mason developed a lifetime love of learning in her students by actively engaging children firsthand with nature, literature, science, history, art, music, and avoiding dumbed-down materials - what she referred to as twaddle - as much as possible. The content of Habits: The Mother's Secret to Success was compiled and adapted by Deborah Taylor-Hough, long time homeschooling mother of three, author of A Twaddle-Free Education: An Introduction to Charlotte Mason's Timeless Educational Ideas, and editor of the Charlotte Mason eMagazine. CONTENTS INCLUDE: Habit May Supplant "Nature" The Formation of Habit Childhood and Nursery Habits Habits of Mind and Morals The Habit of Attention The Habit of Obedience Habits of Truth and Temper ... and more! 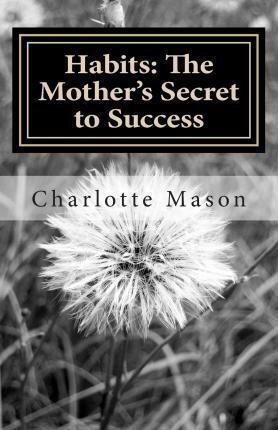 Habits: The Mother's Secret to Success is available in both paperback and Kindle ebook formats.